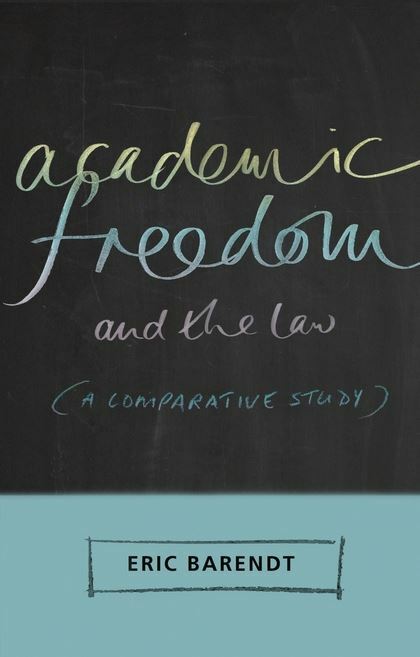 book outlines the various claims which may be made to academic freedom by individual university teachers and by universities and other higher education institutions, and it examines the justifications which have been put forward for these claims. Three separate chapters deal with the legal principles of academic freedom in the UK, Germany, and the USA. A further chapter is devoted to the restrictions on freedom of research which may be imposed by the regulation of clinical trials, by intellectual property laws, and by the terms of contracts made between researchers and the companies sponsoring medical and other research. 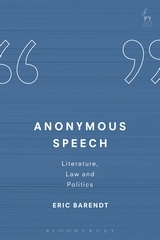 The book also examines the impact of recent terrorism laws on the teaching and research freedom of academics, and it discusses their freedom to speak about general political and social topics unrelated to their work. This is the first comparative study of a subject of fundamental importance to all academics and others working in universities. It emphasises the importance of academic freedom, while pointing out that, on occasion, exaggerated claims have been made to its exercise. 2. WHAT IS ACADEMIC FREEDOM? IV. Academic or Intellectual Freedom? II. Should Academic Freedom Cover Extramural Speech? Barendt should be commended for shining a bright light into a murky but important area of law. 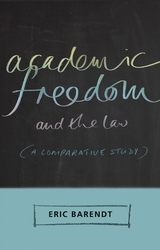 “Academic Freedom and the Law ... deals with comparative legal protections of academic freedom in an accessible and engaging manner that will be of interest to academics both inside and outside law faculties. Barendt's discussion of these different contexts is sophisticated and informative and will surely invite awareness of different issues than any one academic will have been exposed to in his or her own disciplinary context. Those contemplating proposed legal protections of academic freedom or negotiating collective agreements having articles on academic freedom would do well to consider seriously Barendt's discussion of different implications of different versions or forms of protection. Eric Barendt is Emeritus Professor of Media Law at University College London.